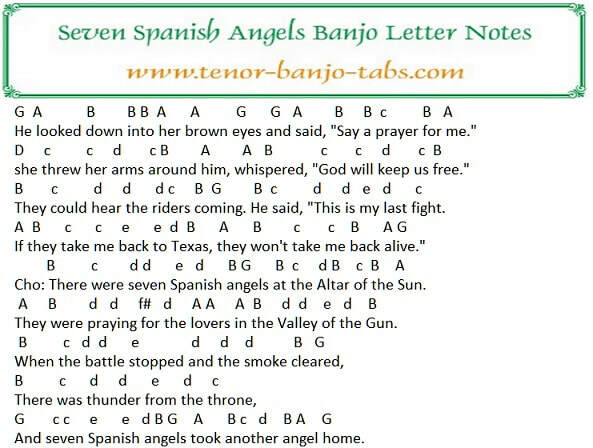 Seven Spanish Angels mandolin and banjo sheet music tab in the key of G Major. Words and music by Eddie Setser and Troy Seals. The easy to play letter notes are included.​The song was a big hit for Willie Nelson and was written by Troy Seals and Eddie Setser, it was also recorded by Ray Charles and Irish country singer Mike Denver.